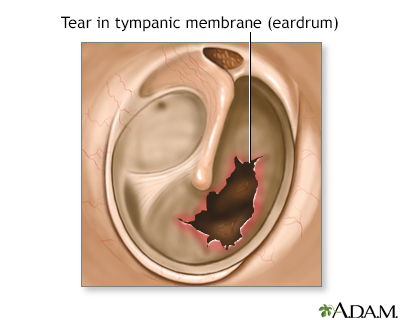 Ruptured or perforated eardrums are usually caused by middle-ear infections or trauma (for example, an object in the ear, a slap on the ear, explosions, or repeated, excessive ear pressure from flying or diving). If healing does not occur with antibiotics or other non-operative treatment, surgery may be necessary. 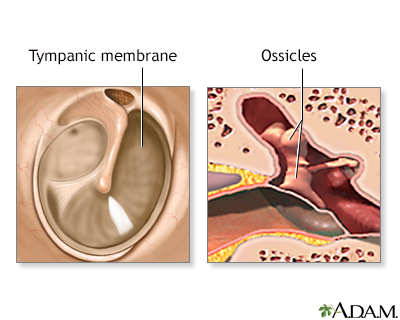 Signs of chronic ear infections include persistent ear pain, ear drainage, or hearing loss (over a 3-month period). 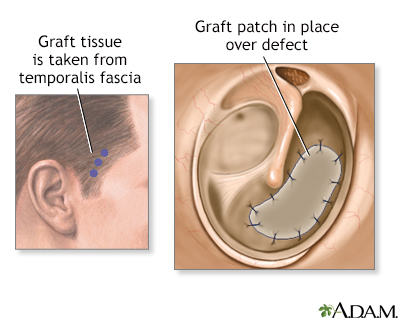 While the patient is deep asleep and pain-free, (general anesthesia), the surgeon grafts a small patch from the fascia of the forehead muscle (temporalis) onto the eardrum. This graft is used to repair the tear. For problems with the small bones (ossicles), the surgeon will use an operating microscope to view and repair the chain of small bones using plastic devices or ossicles from a donor. In most cases, the operation relieves pain and infection symptoms completely. Hearing loss is usually minor. However, if the ossicles require repair, outcome may be less optimal. Patients usually leave the hospital the same day. 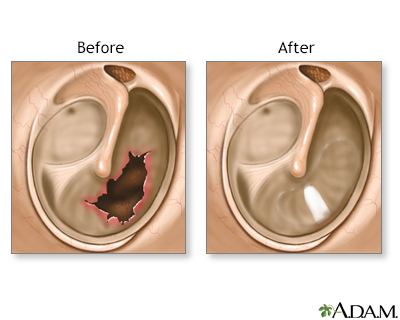 After surgery, it is important to avoid getting water in the ear. Use a hair cap when showering for a few weeks.